1. Please introduce yourself. Who are you? How old are you? Where are you from? What are your hobbies (other than powerlifting)? Please give the readers an idea of what it’s like to be you. My name is Crayton Taylor. My age is 65 years young and I was in Atlanta, Georgia. My hobbies are softball and collectable cars. I live in Lawrenceville, Ga. And train at Valley’s, Gold’s, Body by George and a Gym we open for us to train. I have no idea what people know about me but I hope it’s something nice. I have no occupation I am retired. 5. Do you find that your occupation interferes with competing or vice versa? I started competing at age 42, about 23 years. I got started by a friend of mine Jack Rodin making a statement you body builder cannot lift. I beat him in a USPF meet that December. My biggest squat is 610lbs, best bench 440lbs, deadlift 622lbs, and total 1650. 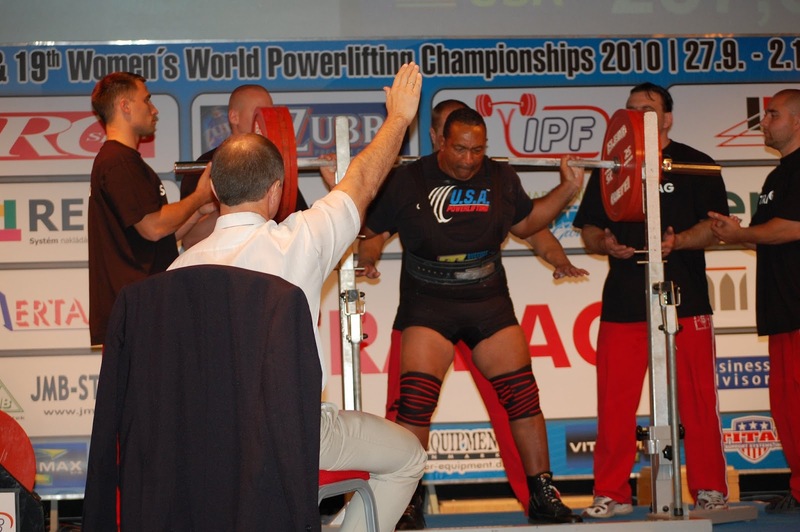 I have USPF, NASA and USAPL state and national records and four times number (2) in the Master Worlds. My training philosophy is not train like a crazy person but to do it the smartest way. I have done both, and I really like unequipped except for not wearing knee wraps. I compete in the master at 120kg. My favorite lift is the deadlift. My last competition was USAPL Master National in Atlanta and I won. Yes I do the master World in St. Catherine, Canada from Sept.26 to Oct.2. I try to do two(2) to three(3) reps with my openers. Eat well and take my vitamins, try not too over train. It depends on how my training affects my competition. At this age no more than three per year, mostly two(2). First go to the web and look up training methods for beginners, then find someone in your area that has competed in meets other than State level. It made me more of a people person. Some it depend on the person. My friend change me to compete. The most prestigious competition for me is the Master World. Having Matt Christie as a teen change me to pull over 600lbs if he did. Yes there are Jack Rodin, Bob Colman, Matt Christie, George Haring, and Greg Jones think you all.